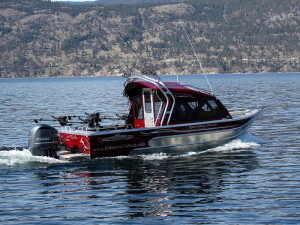 2012 Thunderjet Chinook 22-foot hardtop with an Alaskan bulkhead. Our boat is powered by a whisper quiet, non polluting 250 hp fuel injected Yamaha 4 stroke and a Yamaha High Thrust 4 stroke 9.9 hp kicker. Our enclosed cabin is heated with a Wallas DT40 diesel furnace that pumps out huge heat allowing us to fish year round. We are equipped with 4 Scotty High Performance electric downriggers and Planer boards. For locating fish and safety we use the latest in high performance technology using the Lowrance HDS Carbon 12 with auto pilot and a 600 watt Airmar Chirp & Broadband thru hull transducer. We believe in using the very best rods and reels…all fishing gear on board is exclusively Shimano. We can accommodate up to 6 guests and still have lots of open deck space when battling the ‘Big One’. 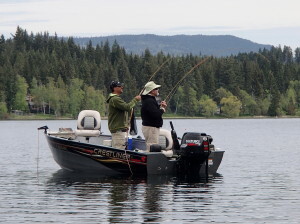 Some of our best fishing is during the fall and winter months and having an enclosed heated cabin adds to making your fishing experience a comfortable one. 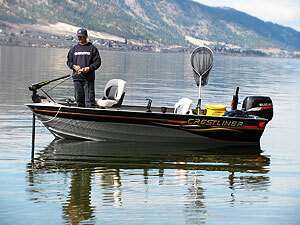 Our boats are Transport Canada Approved for your safety. 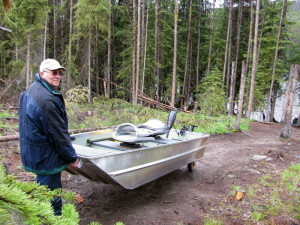 2009 Canadian Series 14-foot Crestliner, powered by a whisper quiet, non polluting 40 hp fuel injected Suzuki 4 stroke motor and a Minn Kota 55 lbs. thrust Vector-3X Steering electric trolling motor. On board you’ll find a Humminbird 580 DualBeam Plus Sonar / GPS chartplotter to aid in finding those rock piles holding big Smallies. For fly fishing we use 5wt. 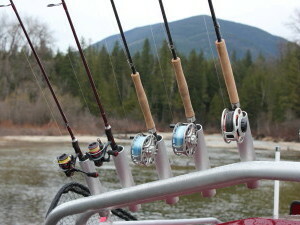 Sage and G.Loomis fly rods mated with G.Loomis and Ross reels loaded with an assortment of floating and sinking lines. 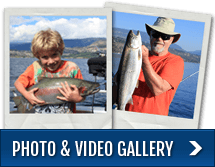 For bass fishing we use an assortment of spinning and casting rods mated with the appropriate reels… all Bass fishing equipment is exclusively Shimano. 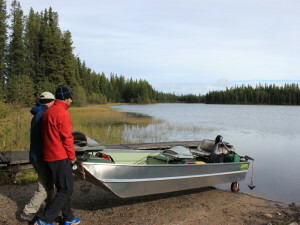 Our boats are Transport Canada Approved for your safety. 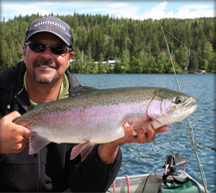 Our custom built Fly Master Jon boats are the ultimate in stillwater fly fishing comfort.They are easily wheeled into remote lakes where trophy Rainbows lurk. Comfortable padded swivel seats and carpeted floors for stealthy quietness while anchored fly fishing. For fly fishing we use 5wt. Sage and G.Loomis fly rods mated with G.Loomis and Ross reels loaded with SA floating and intermediate fly lines. Our flys are hand tied by Rodney.